Did you know there is a monthly period subscription box? Well – there is! 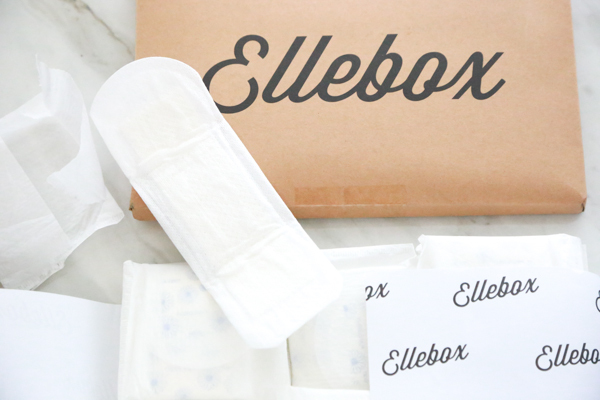 Ellebox is a monthly period subscription box catered to your period. When you subscribe, you’ll get 100% organic cotton feminine hygiene products delivered to your door every month, in time, for your time, every time. For a limited time, Ellebox is offering new subscribers $10 off the Comfort box with the code ‘APRIL10’! Hurry because this deal ends on 4/17/18. Click here to take advantage of this incredible offer and enter the coupon code at checkout! To be honest, Ellebox isn’t the most exciting subscription box, but I think it’s a necessary one. It took me a little bit to order my very first subscription box after hearing rave reviews about them and now I just can’t get enough of ALL the subscription boxes! There really is a subscription box for everyone and everything! In fact, I have a list of over 50 subscription boxes for the whole family that you can look through to find one that is right for you. 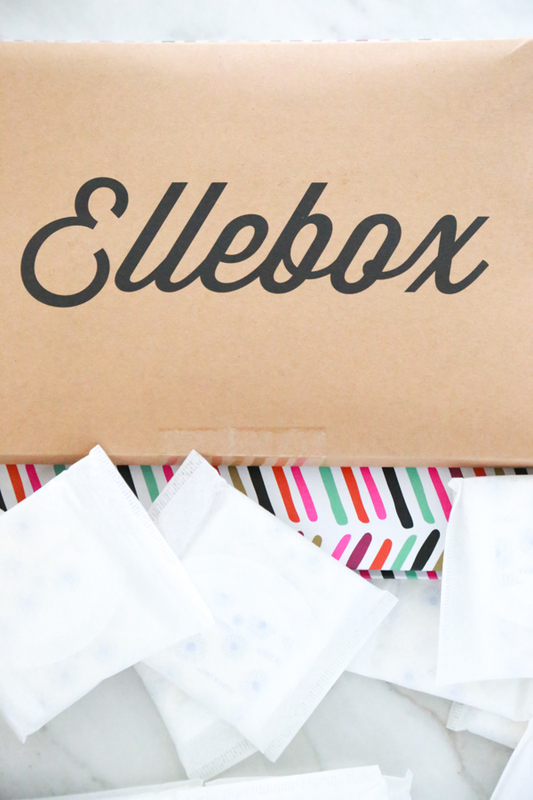 If there’s a subscription box for that time of the month (ahem – Ellebox), I’m sure you can find one that interests you. 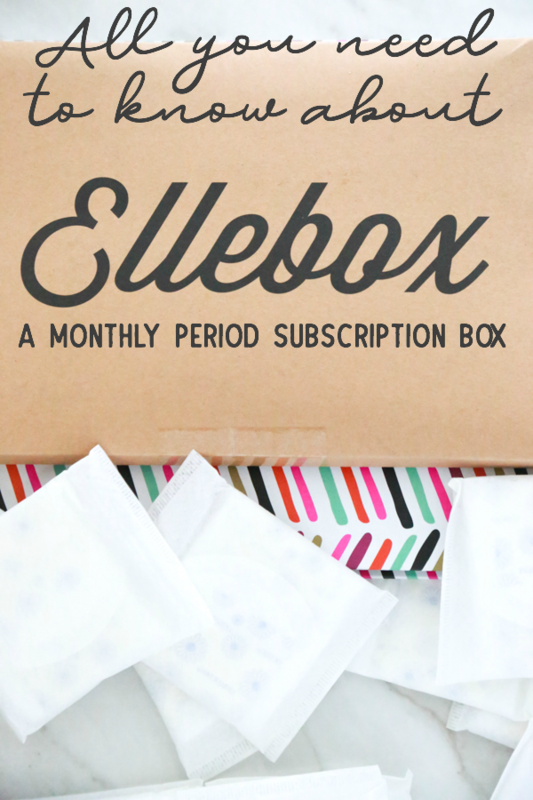 There are 3 different subscription options from Ellebox to choose from when signing up for a monthly period subscription box for your period. The prices vary depending on the option you choose. You can choose to get just the essentials, you can choose to get the essentials plus a few extras, or you can choose a Tween box for you daughter. Take a look at the subscription options below to see which one is right for you. ElleBox is a customized selection of organic pads and/or tampons plus tea, chocolate and two all-natural, amazing self-care gifts selected just for you. Each month features new brands of wellness gifts so that the surprises never end. Ellebox products are 100% organic cotton, and 100% good for you. There is no chlorine, no bleach, no pesticides, no synthetic fibers, and no crude oil in any of their products. It’s one less thing I have to think about each month. To me, it’s like automated shopping. I don’t have to remember to drive to the store to pick up supplies which saves me time, gas money, and stress. Having menstrual products delivered each month right on time is just one of the ways I free up my schedule for other things. Using natural products on or in the body is important to me. I can’t always afford to make the decision to buy organic, but when I can, I do. I prefer natural products that are safe for my body and when they’re as affordable as Ellebox, it’s just a no-brainer for me. It’s just easy. Shopping for organic menstrual items at retailers is getting a little easier than it had been in the past, but it’s so much easier to just subscribe to a monthly period subscription box and put that task on auto-drive. I’m all about delegating and this is one thing that I choose not to worry about. Subscription boxes are becoming more and more popular with new options popping up all the time. In addition to the best period subscription boxes, I’ve also made a list of the best subscription boxes for women. Do you subscribe to monthly subscription boxes? Which are your favorite? So nice that something like this exists. I bet so many people would love it! I do not subscribe to any monthly subscription boxes. I hadn’t heard there was a subscription for a woman’s period, what an interesting concept! I always hated having to buy tampons and such in the store. There always seemed to be a cute guy behind me in line. I know, It’s a fact of life but it was embarrassing . Now that I’m past that stage they come up with this! I would ordering this if I were a few years younger. Subscription boxes are so much fun! It’s so refreshing to see all the different subscription boxes that are coming out recently. I used to be subscribed to a few makeup and beauty boxes.